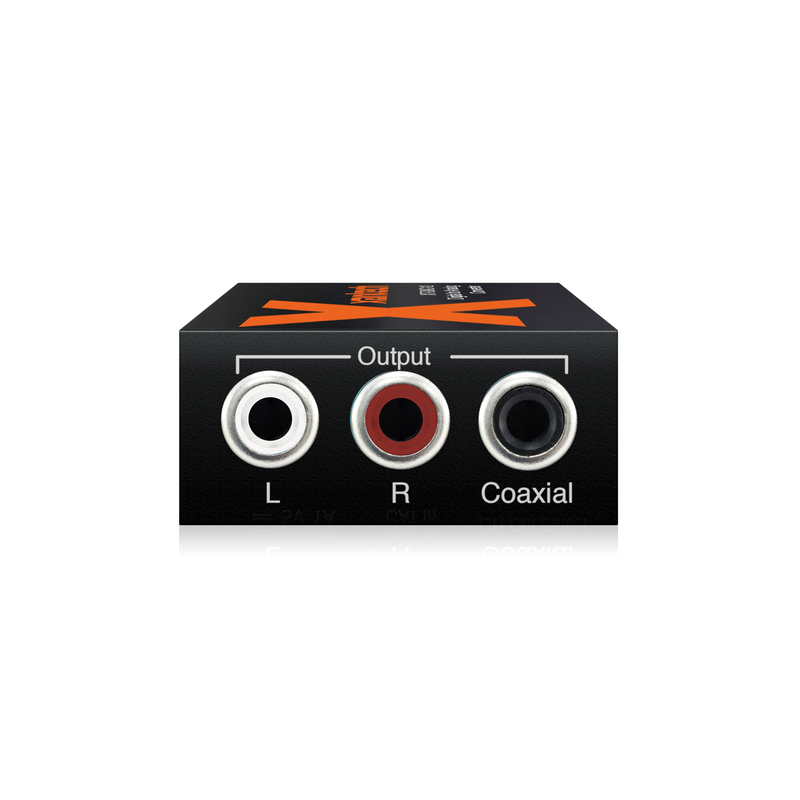 The XT-DAC-12 is converts either coaxial or optical signals from a digital signal to analog stereo audio, and converts optical audio into a coaxial digital output. 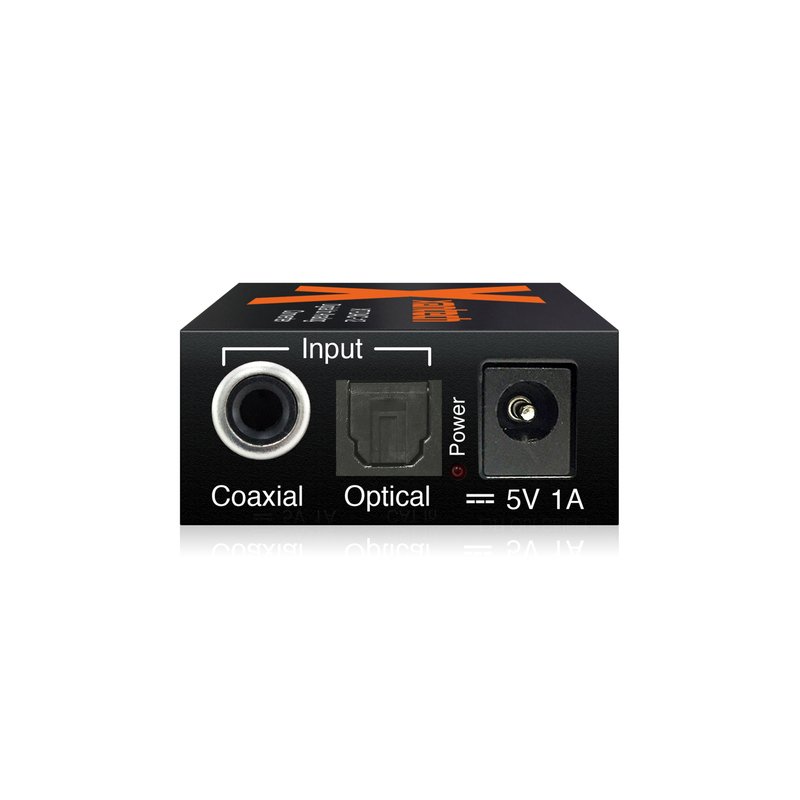 The XT-DAC-12 is designed to convert either coaxial or optical signals from a digital signal to analog stereo audio. 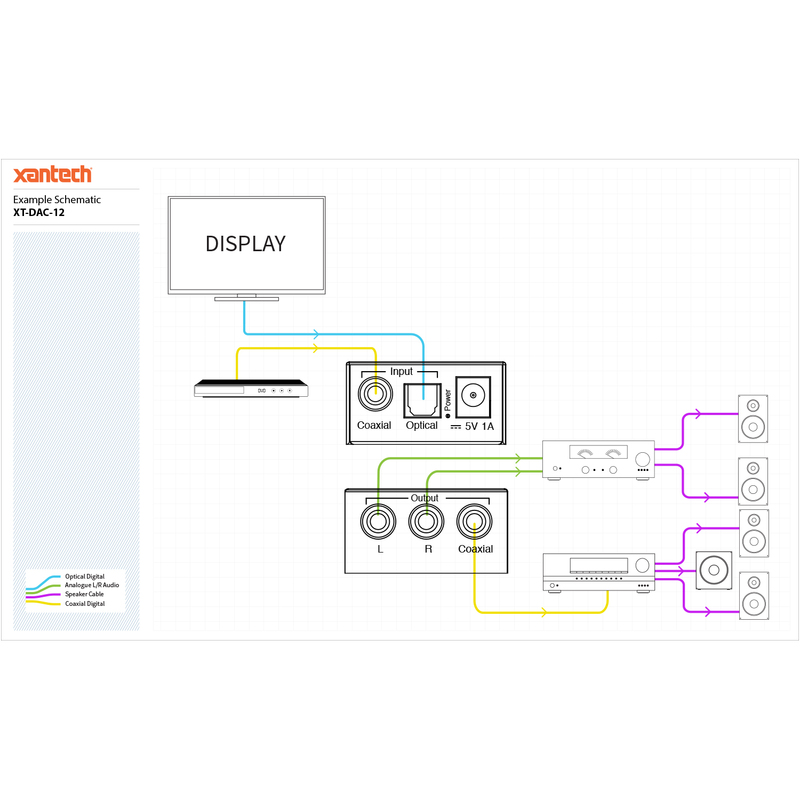 perfect cost effective solution when connecting the digital audio output from a TV display to an analog input on an amplifier. The XT-DAC-12 utilizes 192kHz sample rates for enhanced sound reproduction.